Now that the service provider has set up the Cloud Host for the tenant, it&apos;s time for the latter to start consuming his replication resources. 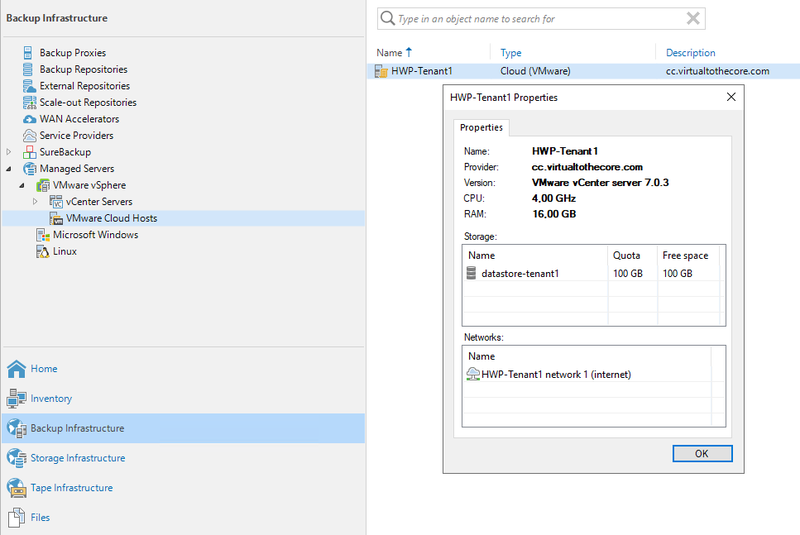 In Veeam terms, a Cloud Host is the abstracted view of the multi-tenant environment offered by the service provider, and seen by the tenant as a remote Virtualized Host that can be used as a replication target. 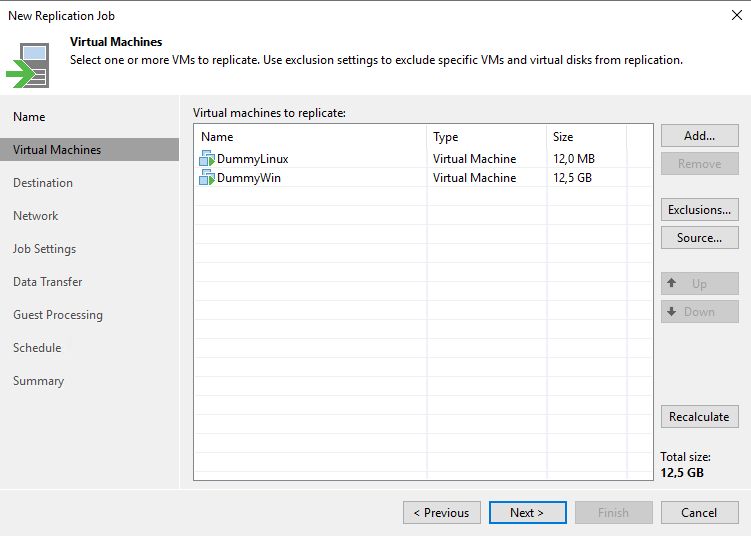 In order to guarantee the most transparent user experience, Veeam Cloud Connect allows to replicate VM&apos;s towards the service provider by using the well known replication jobs. Exactly like in a backup or backup copy job used to consume Veeam Cloud Connect Backup, also in this case jobs are configured in the same exact manner, and just the target is different. 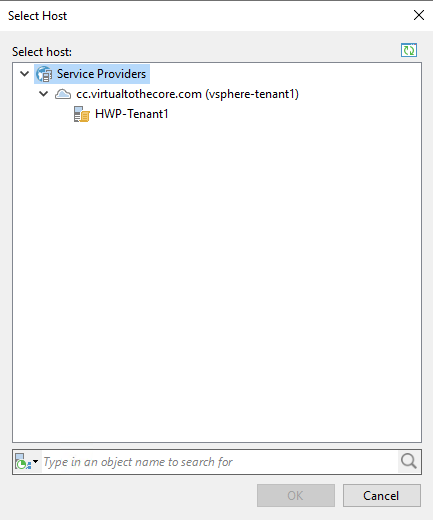 In the properties of the Cloud Host, the tenant can verify that the amount of resources are those requested upon subscribing the the Hardware Plan (10 Ghz of cpu, 12 GB of memory, 500 GB storage and 1 network with internet access in our example), and he can verify that the service provider is using VMware vSphere 6.0. Everything is ready for the first replication job towards Cloud Connect. 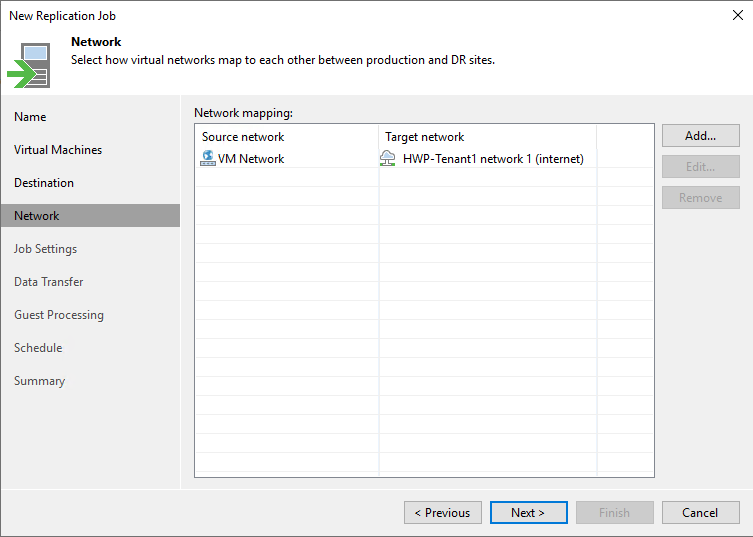 It&apos;s important to select Separate virtual networks (enable network mapping). 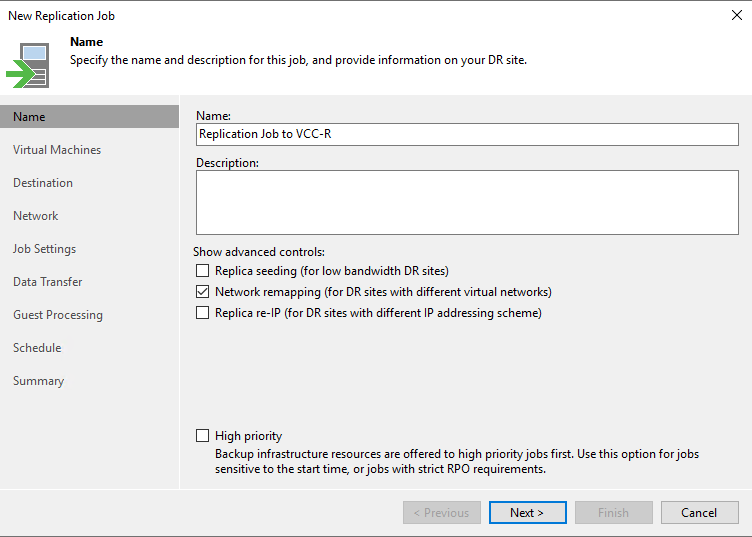 This option enables the Network settings of the replication job, that will be important to correctly map tenant networks to the networks created inside Cloud Connect. Re-IP, on the other side, is not needed (and not available) in Cloud Connect. Here, a tenant is going to see the source network of any replicated VM, and be able to map each network to a network created at the service provider. In this simple case, the tenant has only one network with internet access, so every VM is going to be mapped to the single network made available in the Hardware Plan by the Service Provider. In more complex environments, there will be multiple source and target networks to be coupled. Virtual machines are named with also the tenant&apos;s name as a prefix, so no confusion or name conflict can be generated inside the shared vSphere environment.